The past two years I’ve linked up with Amanda from Miss Zippy for her annual Year of Running link up. I’ve always loved it and definitely planned to link up again this year…that is until Amanda decided to switch gears and stop blogging and focus more on her awesome podcast (you can find that here – go check it out!). Since she’s moved on, I asked Amanda if she minded if I took over her Year of Running Link Up and she graciously agreed. I’m really excited to carry on her tradition! I’ve added a couple of questions to her list, so those of you who’ve played along with Amanda in the past will see a couple new ones thrown in there! Link up your blog post below! That’s it! Enjoy reading other year of running posts and pat yourself on the back for making it to December. Best race experience: This is really hard because I raced twenty times this year and I’ve had so many great experiences. I think that I’m going to go with the Wineglass Marathon though for my best race experience. I loved the course, the weather was perfect and even though the last few miles were a struggle, I set my marathon PR at that race and it was my first sub-5 marathon. Best run: This summer I had an excellent 18 mile run during marathon training. I felt strong, I was really in my running groove and it was just a really fun run with my group of girls that I train with. It was one of those runs where everything just clicks! Best running advice you’ve received this year: “Run the mile you’re in.” This is a pretty common quote but someone recommended this me before a marathon and it really helps to just focus on each individual mile instead of what you have left to tackle. Most inspirational runner: I’m inspired by so many runners and by so many stories. This is always the hardest question. So I’m going to punt a bit and say that I’m most inspired by the everyday runner. Women like my Oiselle teammate Jackie, who has a full time job, two young kids and ran a 3:08 at Marine Corps this year (and she had a bad day). Women like my friend Jess who jumped in to run Wineglass with me with very little notice and rocked it (and then completed Racetober with me by running the Army Ten & PRed at Marine Corps just a couple weeks later). Women like my friends Mar and Cynthia who balance work, life, kids (for Cynthia) with their fitness. And so many more! Favorite picture from a run or race this year: This picture is probably my favorite race picture ever. The story of the race behind it (MCM) is here. Race experience you would repeat in a heartbeat: Of course, my answer to this is Richmond. I love the city, love the race (both the marathon and the half marathon) and will probably try my best to run Richmond (full or half) every year that I can. LOVE LOVE LOVE IT. If you could sum up your year in a couple of words what would they be? Exciting. From work to home to running, this year has been really exciting and I’ve been so blessed. Can’t wait to see what 2016 will bring! I love that picture! This is a great idea. I love looking at my year in review. So glad you continued the tradition! And I love that you added in favorite race photo–yours is excellent! misszippy recently posted…My podcast is live! Awesome, glad you’re doing the linkup! I was just thinking the other day that I might just use the template to do my own year in running post again anyway (did the linkup with Miss Zippy for past three years), so this is exciting! awesome you’re continuing the tradition! I added my link and may edit my post a bit to include a favorite photo. 🙂 great idea! Looks like you had a year to remember of running! What a fun link up. I am going to try to link up a little crazed right now! I LOVE that picture of you. Pictures usually say it all, and that one of you most certainly does! Yay!!!! So glad that worked out! Oh yes, I love that picture of you!!! You had an amazing year. I can’t wait to see what 2016 brings for you. I’m looking forward to contributing my post! Thanks for hosting. yay! please do – I can’t wait to read it! Cheers to a fabulous year! Love that pic of you! Love this! You’ve had a great year! I need to start organizing my thoughts to follow along! LOVE the little tidbit of run the mile you’re in. There’s no need to psych yourself out for the next few miles so focusing on the one you’re in is amazing advice. Funny, I already had this on my list of posts to write to wrap up the year, so I’ll add mine on Wednesday. I love that picture of you. It is totally the best.picture.ever. What a great year recap!! Love that you do this. 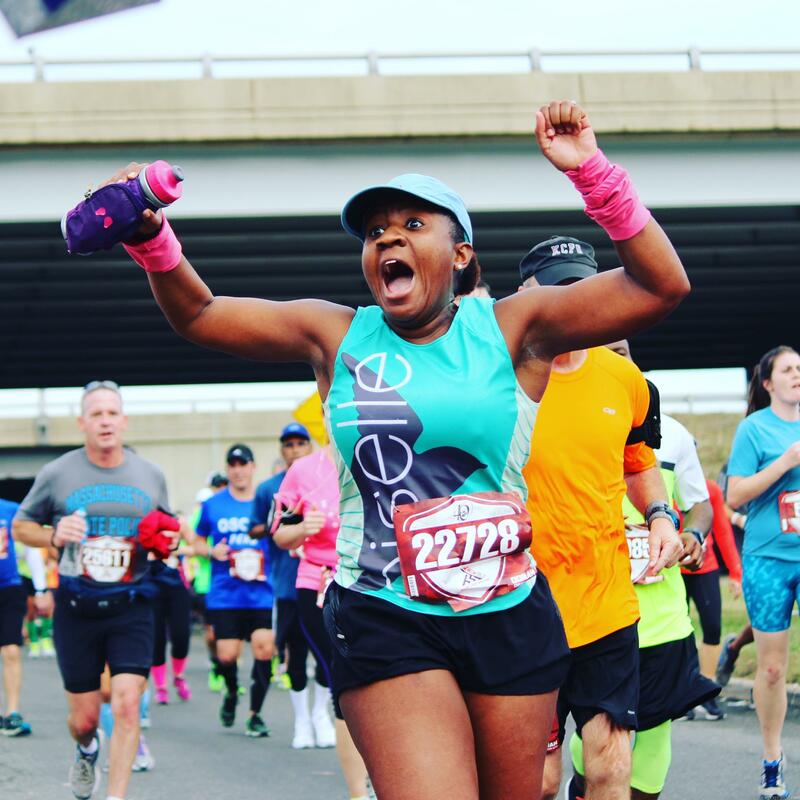 So great to read your running highlights from 2015 and you had such a stellar year! A lot to be proud of! I love this!! What a wonderful year of running for you and congrats on your marathon PR!! I would love to join in – I’ll start working on it. Great idea! This is a great idea for a post and a link up. Nice! I was hoping the Year of Running linkup would live on, awesome! Congrats on a great year! Running the mile you’re in really does work! Congrats on an awesome year of running! I absolutely love Richmond, and now I’ve got my mom and dad running the half with me next year. Nothing beats the vibe and especially that last .25 (or so) of downhill bliss!!! Awww yay glad you are continuing the Year in Review from MIss Zippy, love these posts. You had such a great year, Courtney and such an inspiration. Can’t wait to see is to come in 2016! 20 races? thats awesome!! I love that pic of you as well. I’ve thought about doing richmond one day…perhaps in 2017! Next fall I’m doing NYCM again. Oh how I love that pic! You look like you are having such a blast. Also, you can’t go wrong with a new garmin! I just love new running gear and gadgets! I did Amanda’s Year in Review last year and am so glad to see you are continuing the tradition! It looks like you had an amazing year in running – 20 races is seriously impressive! Thanks Laura – the tradition was WAY too fun not to continue! OMG that MCM picture is the GREATEST!!!! I have heard great things about Richmond….may have to add it to the schedule at some point. Great advice…..“Run the mile you’re in.” I really like that!! This is a great idea to sum up your running year. I’ve never done a link-up before so I will try to do my first one here. I love your running picture! What an amazing picture, and reflection to boot! I definitely feel you on the running advice – so easy to lose sight of the mile you’re in for the end result 🙂 here’s to 2016 and another great year of running! I’m so glad you are keeping the tradition alive! It’s always fun to look back and see how far you’ve come. My year in running was quite horrible but at least doing my own look back helped me see the good too. Thanks! So glad you kept up this linkup. 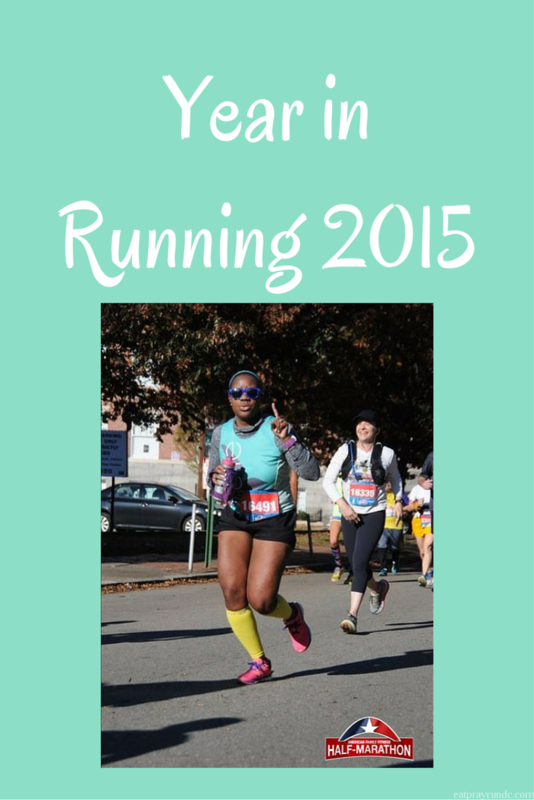 I love recapping my year of running. Also your favourite photo is AMAZING! You have had such an amazing year Courtney! You run with such joy and heart. I have no doubt that 2016 will bring great things for you! And great survey! I will have to play along sometime in the next week or two! Yes, please do!!! And thank you – I think the same thing about you, Leana! I definitely think that more running = more speed! You had such a great year. Can’t wait to see what you’re capable of in 2016! So glad we’ve connected! Aw, thanks lady!! I’m excited to see what 2016 has in store for you as well! LOVE that picture and love reading about your awesome 2015! Awww …. I love that you did this!!! I had to stop my running for the past couple of months due to an injury so I’m too frustrated to do my own, but I’m going to keep this in mind for next year. Thanks for sharing! Thanks so much for keeping this link up going! 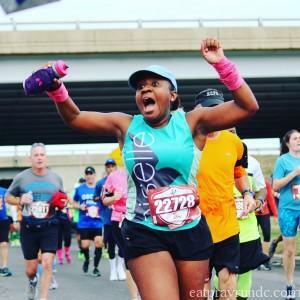 My favorite running posts to read all year! 🙂 I totally remember when you posted that race photo on social – it is one of the best I’ve ever seen. What a great idea and congrats on a great site…hope you don’t mind me joining in the linkup – I think I did everything ok 🙂 Happy Holidays and best of luck with your running and racing! Congrats on a great year! I love when you get a great race pic that captures your emotion 🙂 \You had a very busy year of running! 20 is a lot of races. I loved Richmond too, I ran the half, it was a picture perfect day! Awesome year! Thanks for continuing the tradition! I think the hardest question for me was who inspires you? Uh, everyone?! I was just getting started this time last year so this is the first I’ve heard about the link up and I’m so glad you decided to keep it up. When I saw it I knew I wanted to participate. You my friend have had a great year! I love what you chose as best advice, Run the Mile your In! This is so true! I’m in taper and little over 2 weeks out from my first marathon. I don’t know if I can do it but I know I can run one mile then another then another. Thanks for this and can’t wait to see what 2016 brings us both! Merry Christmas to you!!! OMG, YES you can do it! Enjoy every moment (even the tough ones – and there will be some tough ones) – your first marathon is amazing!!! I’m going to have to remember that “Run the Mile you’re in” for the Dopey Challenge in a week. I love this idea and really enjoyed looking back on my year. I have a question – how the heck do you “grab a button”? I linked to your blog and inserted the picture from your button but I don’t have a clue how to do it properly (and I *know* I did it wrong). TIA!